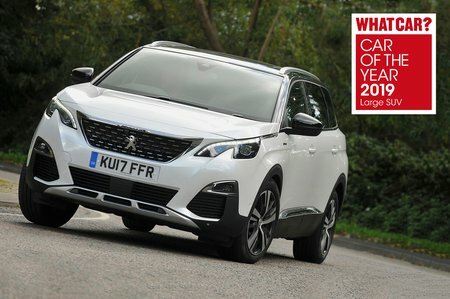 Peugeot 5008 1.6 PureTech 180 GT Line 5dr EAT8 2019 Review | What Car? What Car? will save you at least £2,232, but our approved dealers could save you even more. Adds over Allure a plumbed-in interior air freshener, wireless phone charging, part-leather-effect seat trim and LED headlights. You also get nicer trims inside, but it’s not really worth the extra outlay in our book. This more powerful 179bhp 1.6-litre petrol comes with a six-speed automatic gearbox only. It adds a good slug of extra oomph over the1.2, but the additional costs to buy and run it tips us into recommending the 1.2 as the engine of choice.